Get to know Nava Bearson, the only candidate running for Student Advocate in the 2019 ASUC election at Cal. 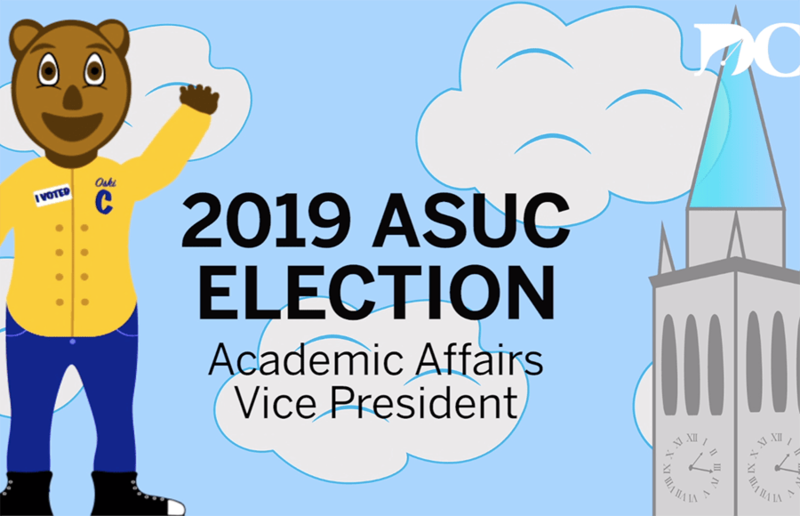 Get to know Wyatt Colby, Teddy Lake, Stephanie Gutierrez and Amma Sarkodee-Adoo — the candidates running for president in the 2019 ASUC election at Cal. Having a part in the process that nudges the political compass that ultimately affects your life is a heavy weight to bear. With the overwhelming tears from last year’s elections, the ASUC coordinators made sure to accommodate the extra water flow. It is during this time that we should reflect and imagine how the pieces of ourselves will impact us in the coming year and beyond.